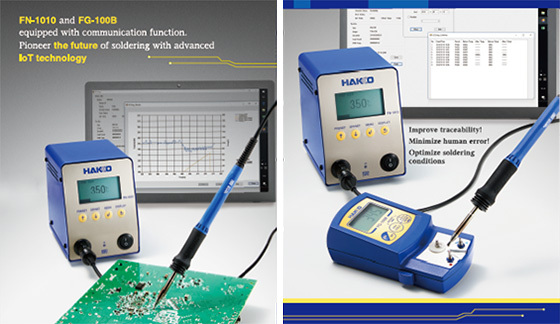 The new FN-1010 soldering station from Hakko opens new dimensions in soldering. 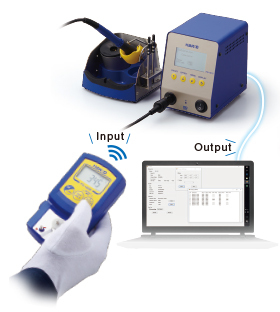 It's not the soldering operation itself, that preserves Hakko's well known high quality, but state-of-art communication features are standing off the crowd. In case you need to monitor in real-time the soldering activities on your production site, you have several networking possibilities to choose from. Do you need a fast calibration of the unit - just measure the temperature of the tip with your new Hakko FG100B thermometer, send the result via the IR port of the station and the system will do the job, without giving any possibility for human errors. If you are interested in these new functions of FN1010 soldering system, don't hesitate to contact the nearest Hakko distributor!